According to NationalTacoDay.com, Americans consumed over 4.5 billion tacos last year. With so many different ways to eat them, people could have tacos daily for a week and not eat the same kind. We love tacos at our house. And we prefer soft tacos over hard. So, in honor of Taco Day, I created a card to celebrate friendship…and tacos. 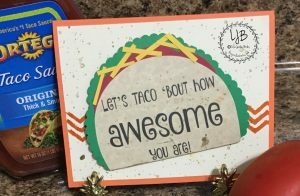 I didn’t have any taco stamps, so I created the words on a transparent canvas in PicMonkey and printed them out on a sheet of cardstock. I traced a circle around the words and cut them out, then I scored the bottom and curled it under. Using a scalloped oval punch, I punched out several ovals and cut them in half for the lettuce. I cut out two circles for tomatoes and cut them into quarters. I cut a strip of cheddar-colored paper then used my scissors to cut fringe-like pieces to resemble cheese. I cut a coral-colored sheet of cardstock at 4.25″ x 11″ and scored it at 5.5″. The cream-colored base is cut at 4″ x 5.25″. I used Stampin’ Up!’s Work of Art and Gorgeous Grunge stamp sets for the chevron inked in Stampin’ Up!’s Pumpkin Pie and the splatter stamp in Crumb Cake. At first, I was a little bummed when I smeared a little ink on the cream-colored base, but then I realized tacos are messy anyway, so the imperfections fit right in with the card. I adhered a matching cream-colored base on the inside of the card and used the same chevron and splatter stamps to decorate it. This card could be used for birthdays, congratulations, or thinking of you. Anytime you want to “taco ’bout how awesome” someone else is. 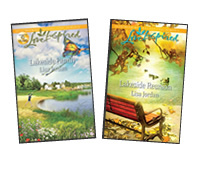 You could even tuck in a gift card for that person’s favorite Mexican restaurant. I’m not sure about you, but as a former early childhood educator, when I think about tacos, dragons come to mind. What? You think that’s weird? Dragons do love tacos! How do I know? 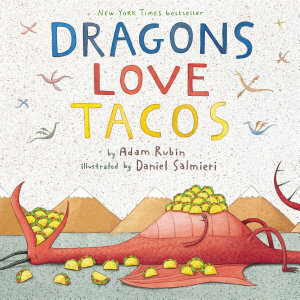 Well, because of the fantastic book called Dragons Love Tacos written by Adam Rubin and illustrated by Daniel Salmieri. Here are two facts you need to know: Dragons LOVE tacos–all kinds of tacos, BUT watch out for the spicy salsa. Otherwise, you’ll be in red-hot trouble! 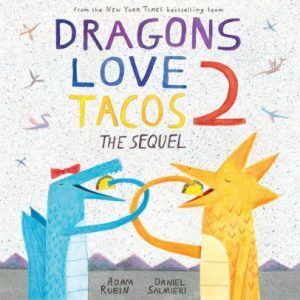 If you like that book, then you will want to read the sequel: Dragons Love Tacos 2: The Sequel. Celebrate National Taco Day, but beware of dragons eating spicy salsa! 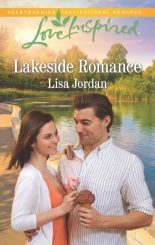 Such a fun post, Lisa! Our family loves tacos. If I had no food restrictions, this would be my perfect taco: soft-shelled, spicy carne asada beef, tomatoes, avocados, cheese and sour cream. Thanks, Jeanne! My family loves tacos, too. I missed having sour cream and cheese on my chicken taco. Wasn’t quite the same, but it was still tasty. I had no idea it was National Taco Day! Now my only decision is if I make taco soup or taco salad — two family favorites!